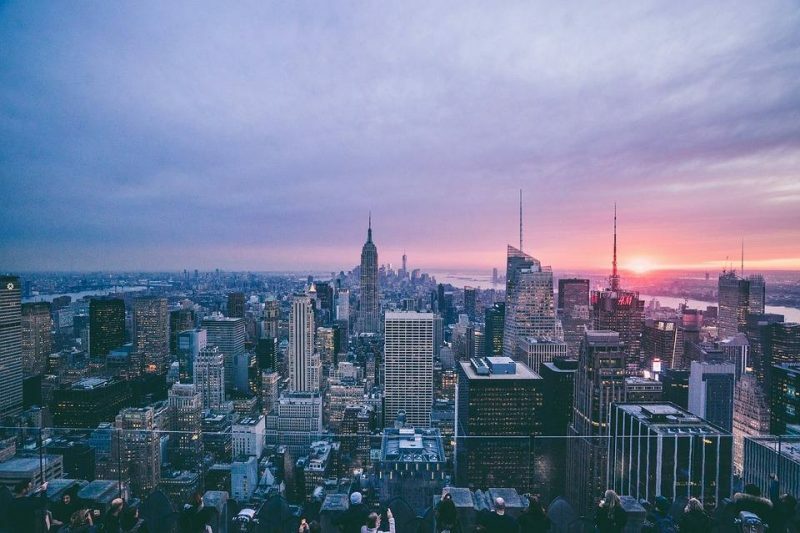 Visiting New York is been a dream of many, so I am sure this magical city has attracted not just one or two of you and after booking flights to start our Trek America holiday there, we want to share our best recommendations about visiting New York on a tight budget. Let’s admit it – even if your budget is not so tight, NY has its standards. Things are different across the ocean and here is how to make the most of it, without spending all of it. This might seem like the most obvious thing so say, but you may be surprised by your craziness. Flying to NY on a whim is possible, it does happen, however, avoiding it can save you close to $400. Try making early checks and using online tools that compare prices and airlines. You can also compare prices for the different weeks/months if you’re plans are flexible. We’ve just booked out tickets of October next year and got a great deal! One factor that seems to remain concrete is that if you look for Monday/Friday/Sunday tickets; it is almost guaranteed for them to be more expensive. Because fewer people can fly on weekdays, prices for Tuesday, Wednesday, etc. flights are considerably lower. We’re flying on a Thursday! Once the flight search is over, your next best pick would be to find a cheap (why not free) place to live. Airbnb is a great such option. Couchsurfing is even better since you won’t pay anything. You can even get lucky and find something close to your points of interest. For all those advantages you should start your search early! Take note that staying in a hotel when visiting a new country gets rid of all the real cultural experiences, made possible through your daily communication with the host of where you are staying. What is the point of traveling if you don’t get to experience the culture, I am right? Well, not just Manhattan, but this particular area stands for all the expensive neighborhoods in New York, and this is not a cheap city. So once you get there, do take walks and make sure to see what it is all about. Just don’t make the mistake to wake up the shopàholic within you when in the expensive areas. This is my favorite advice! Use the metro! The essence of the city lies beneath its grounds, something that we found so curious while there. Getting a taxi every time you go out will leave you penniless, so no point in doing that. The metro system is very well-developed and organized. It covers the whole city and, what’s more, it’s punctual, and you can definitely count on it. Important tip: If during a busy morning you spot an empty carriage on the metro, do not get it! It is empty for a reason, and this reason can be the horribly bad smell or…anything else that makes people stay away from it. If you do decide to be brave and see what it is all about, the smell may just haunt you for days. ESTA stands for Electronic System for Travel Authorization. In short, it is a Visa Waiver Program, which includes 38 countries worldwide. All these countries are visa-exempt, which means that they don’t need to apply for a visa, before traveling to the States for a short-term stay (up to 3 months). Applying for an ESTA is easy, and it takes less than 10 minutes per applicant. You fill in your personal details, respond to some easy questions and submit it. Within 72 hours of submission, you should receive a confirmation email with you electronic ESTA on it. This is far cheaper and way easier than any visa application we’ve ever experienced. Hope this article will give you some good ideas before your next trip to New York. If you have any questions, use to comment section below. Or any tips for our trip, we’re only there for a day though! "Four Things to do in Manchester *"
Take a walk along the Highline. It’s completely free and offers some great views. Enjoy!